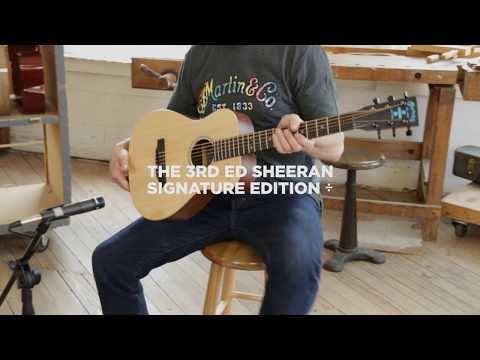 The Martin Ed Sheeran Divide Signature Edition is a stunning electro-acoustic guitar based on the Martin LX1E, paying tribute to the me.. The Martin Ed Sheeran Divide Signature Edition is a stunning electro-acoustic guitar based on the Martin LX1E, paying tribute to the meteoric rise of Ed Sheeran and his seminal album Divide. 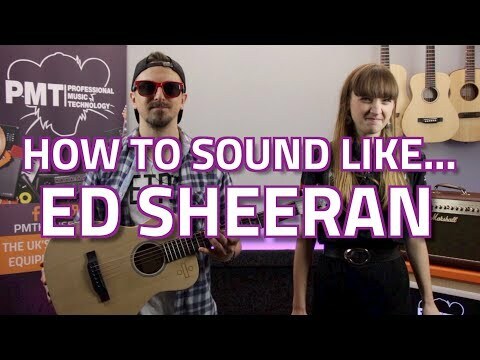 Get Ed Sheeran's Signature Guitar sound! One of the biggest musical acts in the world today, Ed Sheeran has inspired a whole new generation of musicians to pick up the guitar and start writing and performing themselves. Famous for his love of the Martin LX1E, which is now often simply referred to as the "Ed Sheeran guitar", Ed Sheeran has put travel guitars back on the map. This Martin Ed Sheeran signature guitar pays tribute to Sheeran himself, his bond with his guitar and of course, the incendiary new album; Divide. As a shortscale guitar, this Ed Sheeran guitar is perfect as a travel guitar and is very manageable to hold. Younger people or anyone with smaller hands will find this smaller size guitar ideal. Extremely popular as a tonewood due to its beautiful resonance, great projection and rich tones, solid Sitka Spruce has been used for the top while incredibly strong high pressure laminate Mahogany has been used for the back and sides. Allowing you to plug in and play live and loud, the Ed Sheeran ÷ Signature Edition guitar comes fitted with Fishman Sonitone electronics. The Sonitone system provides an under saddle pickup which delivers great reproduction of the nuances in your playing. The onboard preamp itself can be found, discreetly mounted inside the soundhole. The preamp’s Tone control allows you to adjust the amount of treble in your sound while a second control allows adjustment of the volume. It also comes to you with a fantastic Martin gig bag so you’re ready to hit the road as soon as it arrives. Attached to the body through sturdy mortise and tenon construction, you’ll find a great looking and very strong laminate Birch neck. The neck has been fitted with a Richlite fingerboard with 20 frets and is adorned with awesome, eye-catching blue coloured divide symbol fret markers. The headstock and body of the guitar are also emblazoned with the divide symbol while the bridge pin dots and rosette feature the signature blue colour matching the album artwork. 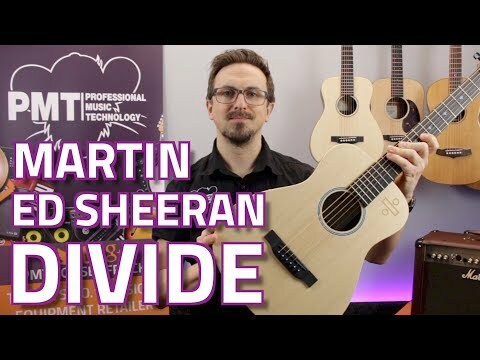 Using the Martin Ed Sheeran Divide signature guitar, not only can you sound like Ed Sheeran but you get the awesome and unique look of this instrument to really help set the stage alight. Buy the Ed Sheeran Divide Signature Edition guitar from PMT Online now. I am a singer songwriter and do mostly covers with a few originals and a lot of Ed Sheeran songs and this guitar is perfect for what I do. People think it looks really cool too and I've had a lot of comments on it. Sounds good played acoustically and plugged in too.